This photo does not capture the richness of this scene. 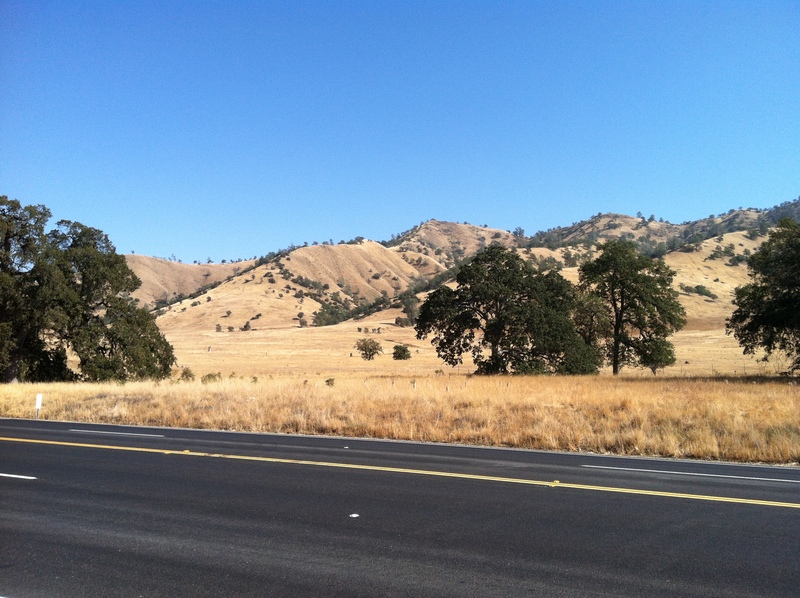 In October, the hills of northern California are golden and punctuated with the deep dusty green of the low trees. I recently visited the lovely Isis Oasis in Geyserville, California for the annual Convocation of the Fellowship of Isis. My part in the festivities was to facilitate a ritual on Saturday afternoon. The rite we worked is called “The Mysteries of the Beloved and the Two Sisters.” It couldn’t have been done without the aid of five wonderful priestesses—my housemates at the Oasis—who gamely stepped in at the last moment and made it all flow smoothly. Thank you, priestesses. You are awesome! In our rites, Osiris is dead and the ritualists journey to the Otherworld to raise Him up. They enact the parts of Isis and Nephthys and the Ladies of the Twelve Hours of the Night. Gathered around the sarcophagus of the Beloved Osiris, the ritualists bring energy to Osiris to raise Him up, then we all experience the reciprocal love of the God. 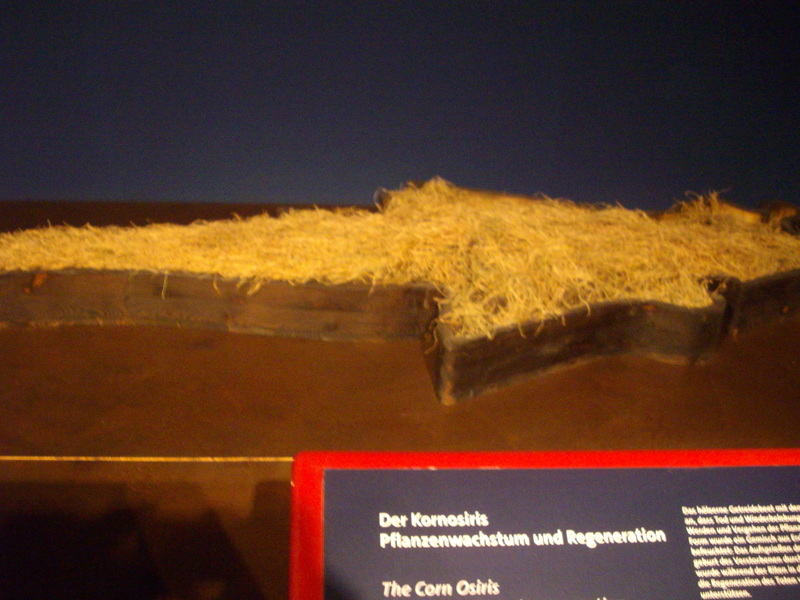 This is an ancient example of the type of Corn Osiris we made. This one is a bit more complicated! To do this, we needed a sarcophagus of Osiris. I decided to use something that is usually known as a “Corn Osiris.” (I’ve always wanted to try it!) The Egyptians sometimes included these in tombs as symbols of renewing life. 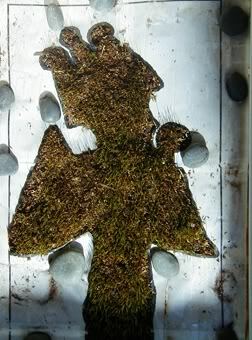 They were images of Osiris made of earth and planted with seeds that would sprout even in the darkness of the tomb. The deceased is identified with this “corn” (that is, the grain) and is thus renewed like Osiris. There seem to have been two types. One was made in the outline of Osiris, filled with earth, and planted. The other was made of earth, sand, and mud into which were mixed seed, talismanic stones, incenses, and other magical items. This one was often mummy wrapped. In the Khoiak festival of Osiris, such a body of Osiris was created from such a mixture, mummified, mourned over by priestesses as Isis and Nephthys, and interred. His resurrection was proven the next time the priests entered the tomb for they would have found that the corn had sprouted on the “body” of Osiris. Our ritual at Isis Oasis was in a similar spirit. Using green garden edging, we made a simple mummyform. We cut slits in the bottom of the edging so it could be folded inward and shaped—and so we could staple-gun it to a piece of board. Brass (i.e. “golden”) nails on the outside of the edging helped it maintain the proper shape. 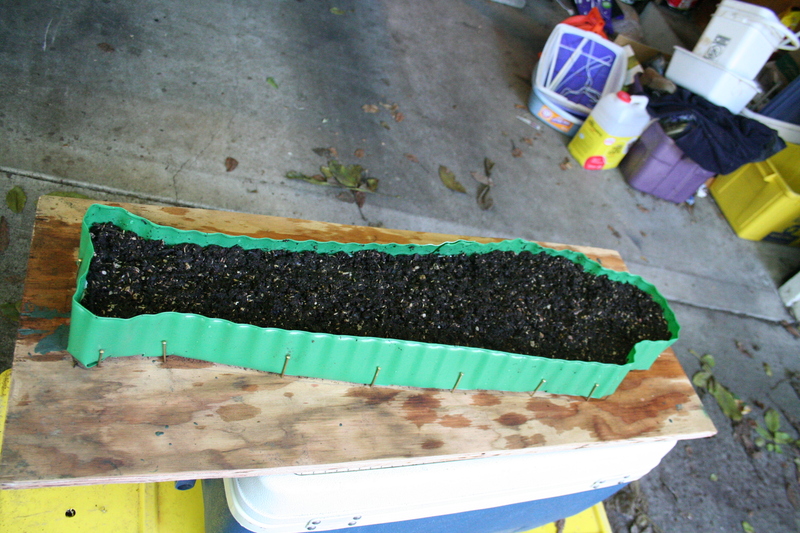 Then we lined it with a plastic garbage bag so it would hold water and filled it with some nice, rich potting soil. On top of that, we added a layer of dirt into which I’d previously mixed grass seed in the hopes of getting a jump on germination. 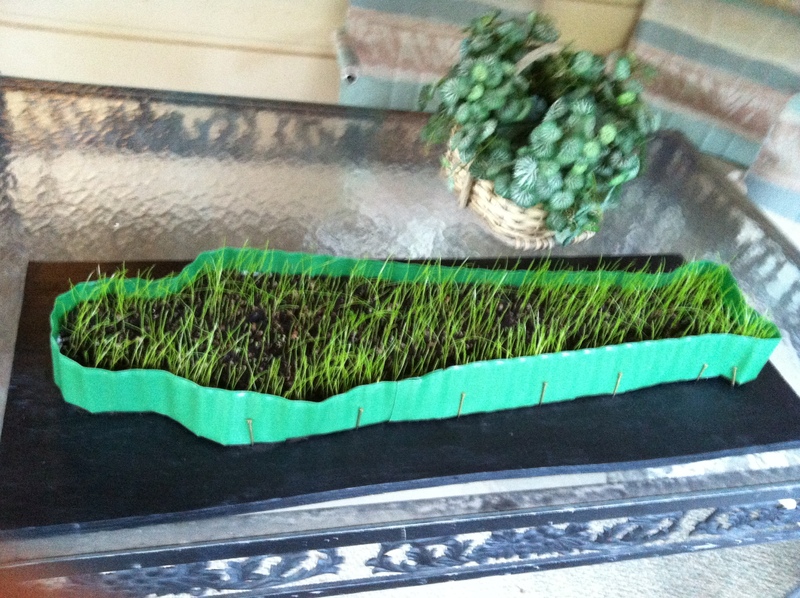 (BTW…I tested chia seeds and grass seed previously, thinking the chia would be quicker. Turns out, at least in October, the northwest blend grass grew better and looked more impressive.) Then we watered it, making it nice and damp. To make our sarcophagus of the God complete, I made a coffin lid from foamcore. We happened to have some gold foamcore in the garage (yes, we have many strange and magical things in our garage). 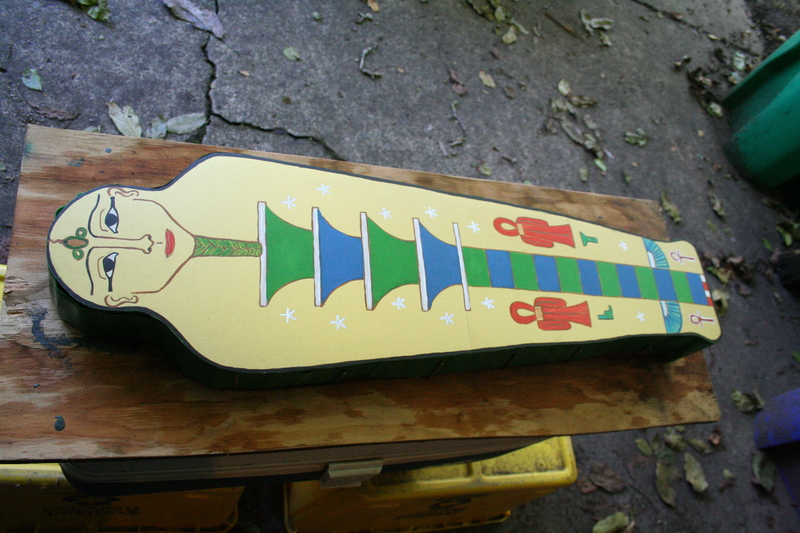 I painted on the designs, exacto’ed it out, and we had our sarcophagus. Osiris just after being planted; He needs prettying up and so does our garage. The foamcore sarcophagus lid placed on top of the planted Corn Osiris; that’s the djed pillar in the center flanked by two Knots of Isis, one for Isis, one for Nephthys. 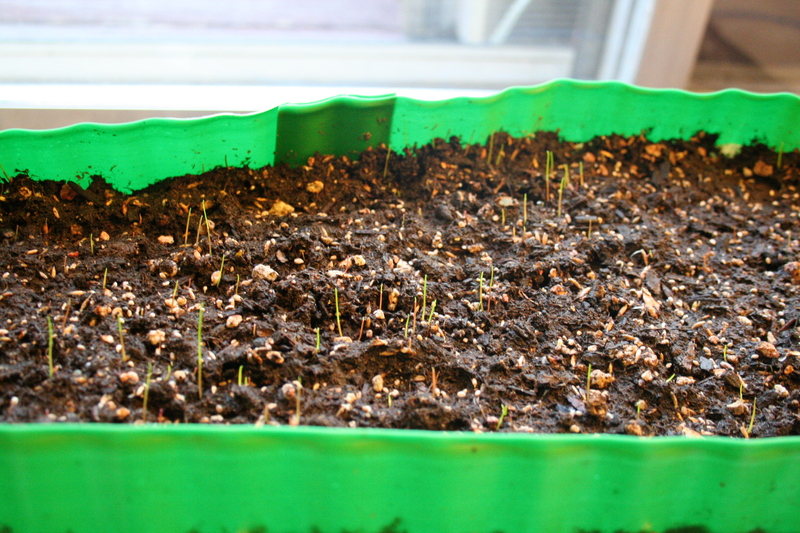 Here’s when the “corn” is just starting to sprout. Here is His progress in the motel room on my way to Isis Oasis; yes, I carried it in and out of the motel…it was COLD at night! And here He is in His ritual glory…with plenty of green to make the magical point. After bringing Osiris home, I transferred His charged grass to our lawn, where it is happily growing and drinking in the Pacific Northwest liquid sun. Next Next post: Who is Isis? 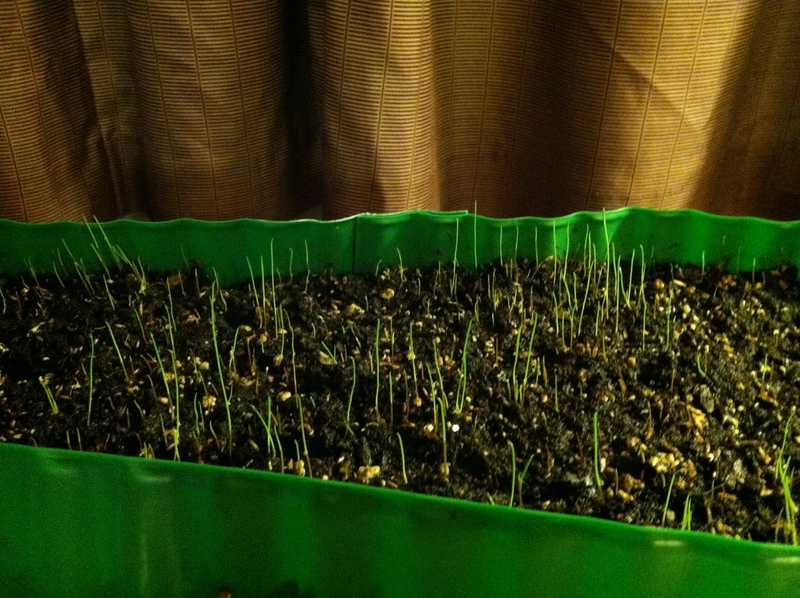 It will be interesting to see how much better the Osiris grass grows than your “normal” grass. What a beautiful ritual and very creative! I’m sure this grass will be very lush and bountiful with this special blessing.